Nostalgia N10CEC, Other Acoustic Guitar from Michael Kelly Guitars. Michael Kelly Guitars announced the release of new Nostalgia Series acoustic guitars for 2010. The series offers a mixture of acoustic guitar styles from classic Dreadnoughts to cutaway models, a 12-string, and more. The new Nostalgia N10CEC is a cutaway for enhanced upper fret access. Features include Mahogany back and sides and a Cedar top. A built-in Fishman® Isys+ preamp provides Volume, Bass, Treble, and Phase controls, plus a Tuner. New N15CE models have multiple-ply Abalone binding that adorns the cutaway body, headstock and sound hole rosette. A Fishman Isys+ preamp provides Volume, Bass, Treble, and Phase controls, plus a built-in Tuner. A Mahogany neck with Rosewood fingerboard is designed to provide comfortable playability. Available finishes are Natural and Black (on Spruce top models) and a natural-finished Cedar-topped model. The N50S Dreadnought beauties are crafted with East Indian Rosewood sides and three-piece backs that utilize both East Indian Rosewood and Mahogany. Solid Sitka Spruce is used for the tops due to its responsive resonance. Cutaway model N50SCE adds a Fishman Presys+ preamp with Volume, Phase, multiple tone controls and a built-in Tuner. 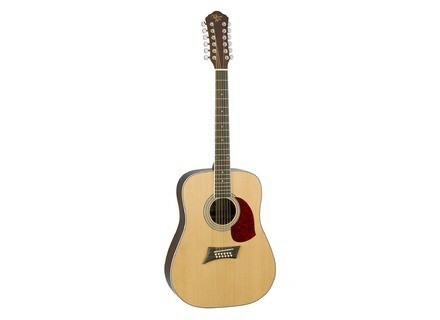 The Dreadnought N5012S has a three-piece East Indian Rosewood and Mahogany back to its solid Sitka Spruce top. The neck is crafted from Mahogany and features a Rosewood fingerboard. For more information, see www.MichaelKellyGuitars.com. Schecter Solo & Vintage Special Schecter Guitars releases the Solo Vintage and Solo Special collections. Michael Kelly Guitars Patriot Standard Michael Kelly augments its Patriot electric guitar line with the introduction of new, vintage-flavored Patriot Standard models. Tech 21 Red Ripper Fuzz for Bass The Red Ripper is designed to responds to the dynamics of your individual touch.